More cash flow: Once your mortgage is paid in full, you'll have fewer overhead costs on your home and lower monthly living expenses. Reduced financial stress: By eliminating your mortgage bill, you'll have more disposable income available. Increased equity in the home: A paid-in-full mortgage means you own the home outright and can sell it or turn it into a rental property at any time. Loss of tax benefits: Contributing extra funds to your 401(k) would have more tax advantages, and you'll lose the mortgage interest deduction. Reduced liquidity: Cashing in on your home equity is more difficult than accessing a savings account or rainy day fund. Savings starvation: By pouring all your money into your mortgage, you're likely starving other savings and investment accounts in the process. Want to pay your mortgage off early? There are a few routes you could take. 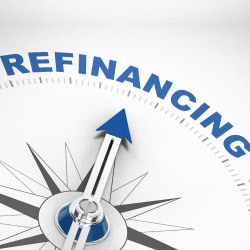 Refinancing is one great way to shrink your loan term and pay off that balance in less time, though it may still take a few years. You can also ask about an accelerated payment plan, or consider using savings or investment funds to pay off your balance.